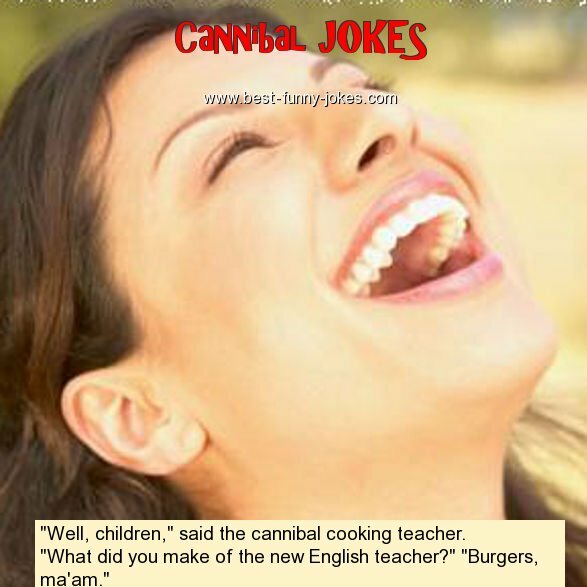 "Well, children," said the cannibal cooking teacher. "What did you make of the new English teacher?" "Burgers, ma'am."